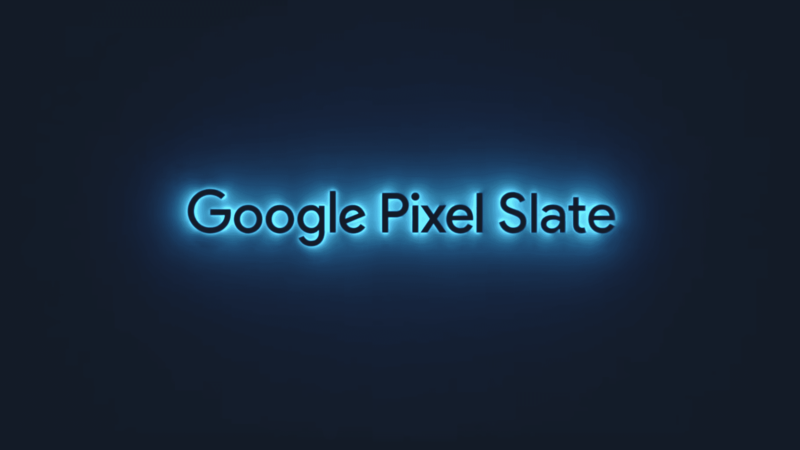 Google was very clear that the release date of their new Pixel Slate tablet was still very much to be determined. With only the promise of “by the end of the year,” I had presumed a pre-Black Friday launch could be in the cards. Thanks to Best Buy, we may have evidence that our guess was accurate. In typical fashion, the Google Store was updated immediately at the conclusion of their hardware event. Best Buy was quick to follow suit and launched a new landing page dedicated to “The latest devices made by Google.” In sync with Google, Best Buy has the Pixel phones and accessories, Google Home Hub and more available for pre-order. 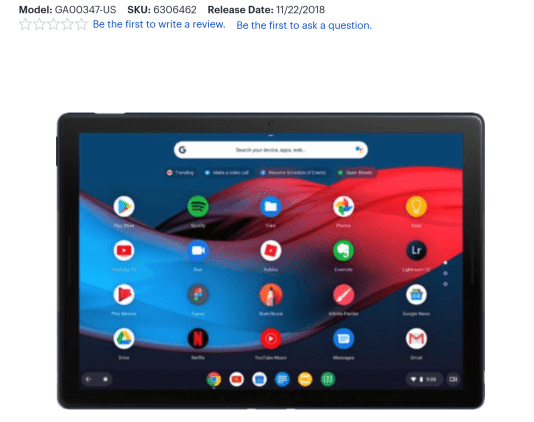 As expected, the Pixel Slate and new Pixelbook Pen (Midnight Blue) are listed as “Coming Soon.” However, thanks to some eagle-eyed readers and Kevin Tofel’s quick screenshot, it looks like the Pixel Slate could be ready for launch on November 22nd. The three listings for the Pixel Slate have since been updated to “Not Yet Announced” but the Pixelbook Pen is still showing the November 22nd date which happens to be one day prior to Black Friday. After poking around the web for a few this morning, I came across another site listing the Slate and you can actually place a pre-order right now. Before you run off on me and drop $800, $1000 or even $1600, let’s get some details ironed out first. The Pixel Slate listing comes from ABT Electronics, a reseller known to have a wide variety of Google products. This isn’t an unusual practice. There are tons of websites around the world that are known for pre-listing unreleased devices and taking orders with the anticipation of getting in stock once the supply chain opens. ABT may be jumping the gun on taking pre-orders but they are a trusted source of electronics that have actual brick and mortar locations. I would have no qualms giving them my money but know that you’ll still be waiting with the rest of us. Again, I fully trust that ABT will have the Pixel Slate on or around the time of its actual launch so placing order will probably put you near the front of the line to get your hands on the tablet. On the flip side, some fine print from the Google Store makes me wonder if the electronics seller isn’t overstepping some bounds in this particular instance. So, yeah. Clearly, the Pixel Slate still has some paces to go through before it will be ready from prime time. The units we handled this week were running on version 71 of Chrome OS in the Developer channel. Chrome OS 70 should be rolling out in about a week and a half with version 71 scheduled for December 11th. If the Slate is to ship with all the cool, new tablet features we’ve been reporting on, November 22nd may be a bit premature but it is still very plausible. Any way you slice it, it will be a good month and a half a the least before consumers will be able to get their hands on the Pixel Slate. We’re looking forward to sharing more about Google’s new Chromebook tablet in the coming weeks. In the meantime, check out coverage of the #MadebyGoogle event.